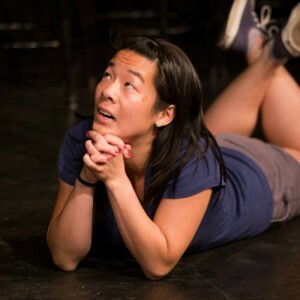 Nina Hsu hails from Philadelphia, PA. She signed up for a WIT class in 2014 to better manage her Type A tendencies. She still harbors those tendencies, but she has been delighted to discover so much more along the way. Nina completed the Washington Improv Theater curriculum in 2015. She is currently a member of WIT Ensemble Nox! and special projects Citizens’ Watch and Die! Die! Die!. Previously, she played with WIT Harold Teams Tiovivo, Wallawoo, and Blot. She also frolics with indie troupes Runaway Train, The Hypothesis, and Reina, and is a member of 2018 Fighting Improv Smackdown Tournament winners Double Date (alongside Chris Ulrich and Jane White). During the day, she proudly sciences. In her spare time, she hunts for tacos and has a thing for sunsets. Die! Die! Die! Double Date Nox! Nina is a firm believer that everyone should take an improv class. Nina loves unlocking the creative potential in students and watching them discover it in themselves. The improv classroom provides a joyful, supportive environment for students to discover that they can take risks, find unexpected connections, work together, and have a blast along the way. Nina completed the Washington Improv Theater curriculum in 2015. She is currently a member of WIT Ensemble Nox! and special projects Citizens’ Watch and Die! Die! Die!. Previously, she played with WIT Harold Teams Tiovivo, Wallawoo, and Blot. She also frolics with indie troupes Runaway Train, The Hypothesis, and Reina, and is a member of 2018 Fighting Improv Smackdown Tournament winners Double Date (alongside Chris Ulrich and Jane White). During the day, she is an #ActualLivingScientist.